What are Raga Labs? Launched successfully with participants from over 30 cities across the world, Raga Labs are Music and Dance workshops where you learn, perform and shine. A group of 8-10 musicians or dancers come together to learn an exciting piece of around 6 minutes in an interesting arrangement, get trained in how to perform and present it effectively, and then actually produce a high-quality video of their collaboration! Why Raga Labs? Raga Labs make you refine your skills with the help of professionals, get noticed by global audiences, and have high-quality content that adds to your portfolio or resume. The final videos are released by IndianRaga on the Raga Labs channel, and thousands of audiences engage with it through social media! Participants in the past have used these videos for college applications, resumes, and as beautiful memories for life to record and capture their artistic talent! Participants in this format are based in different cities, and are led by a Raga Labs instructor online. Each participant is instructed on how to record audio and video at home, and the Raga Labs team will put the piece together. Price for this is $75/month per participant for a 3-month package. Click here for more details. This takes place with a group of 6-8 participants in your city, led by a Raga Labs instructor remotely. Instructor will come to the city for the production weekend, and participants will be taken to a professional studio for audio-video recording. The group starts once 6-8 participants confirm and sign up. Price for this is $129/month per participant for a 3-month package. Click here for more details. Raga Labs Schedule : Flexible and Convenient! Each Raga Lab takes place over 3 months at a day and time decided by the group and the instructor, but is very flexible and well spaced out to make sure it blends seamlessly into your busy schedule! Each session is recorded so you can catch up if you miss any! What’s more – You can take the sessions remotely, so even if you are traveling, you can just login from wherever you are! We invite musicians from all genres and age groups to join us. In the past, we’ve had musicians and dancers with at least 2-3 years of formal instruction. Some experience of stage performances and improvisation is preferable but not mandatory. After your candidature is approved, we will send you information regarding fee payment and next steps. NOTE: The program cost is non-refundable because we will be rejecting other applicants to confirm your spot. The program fee covers all costs related to audio recording and video production in a professional studio environment. It does not include meals, transportation for participants, or any other costs not mentioned specifically as covered. Q. What does ‘Remote’ location mean? A. It means everyone can login from wherever they are, and meet the instructor online via Google Hangout or Webex. IndianRaga team will send all details prior to the session. Teams can choose to meet as a group in someone’s house, and login together to meet the instructor, but that’s entirely up to them! A. Once the group is confirmed, everyone will decide a specific day and time every week with the instructor – which means it will definitely be convenient for you. We cannot decide this before you sign up unfortunately. Q. Can the group schedule additional rehearsals on their own? A. Yes absolutely, and we highly recommend that! The classes mentioned in the schedule are only the ones organized by the IndianRaga team. In addition, if the team can schedule a meetup on its own and rehearse, it will help give the participants additional practice. A. This is definitely for both adults and kids. If there are enough adults, we will have a separate adults group. But in general we group participants based on similar skill levels as decided by our creative team. A. Yes this is for dance also. 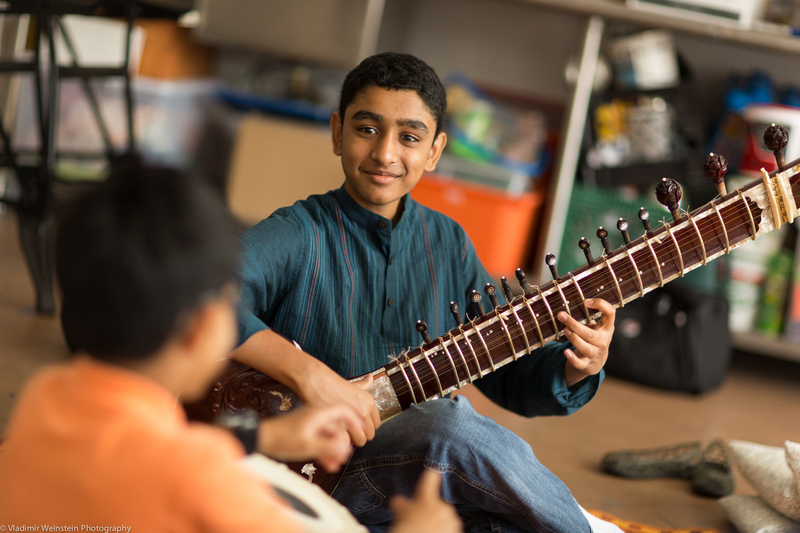 We are currently able to do Carnatic, Hindustani, fusion, semi-classical/movie, Bharatanatyam, Kuchipudi, Odissi, Kathak, pure instrumental, a cappella, jazz collaborations, and are constantly trying out new exciting genres!